The Safety Plus Australia handrail system is a robust, versatile and cost efficient form of passive fall protection that is suitable for a wide variety of applications, ensuring maximum and total protection to workers operating near a potential fall edge. Safety Plus Australia can design and install a system that will suit all roof surfaces and can be mechanically assembled on site. All handrail systems are designed to meet the relevant requirements of AS/NZS 1657:2013 and various statutory codes of practice. If seeking additional information about our handrail systems, please contact our expert technical team by emailing us at info@safetyplusaustralia.com.au or calling us on 1300 713 566. Handrails protect people from high rooftops and platforms. Used with walkways to provide safer height working conditions, handrail systems are a maintenance-free type of fall protection. Safety Plus Australia can design and deliver a fully-compliant handrail system to any application, that will eliminate hazards whilst ensuring height safety compliance and reduce the risk of worker injury and liability. Thanks to our safety handrail systems, workers across Australia can conduct installation, maintenance, and repair works at heights with increased confidence regarding their safety. Handrail is the preferred method of fall protection, sometimes referred to as “passive” fall protection, as it does not require any activity for the fall protection to be effective. With our roof safety handrails, you can instantly increase the safety of workers traversing rooftop areas when combined with other fall protections like static lines and anchor points. Handrail offers both a means to assist in stopping your fall and assists your travel across a roof by providing a hand hold for improved balance, increasing your sense of security. 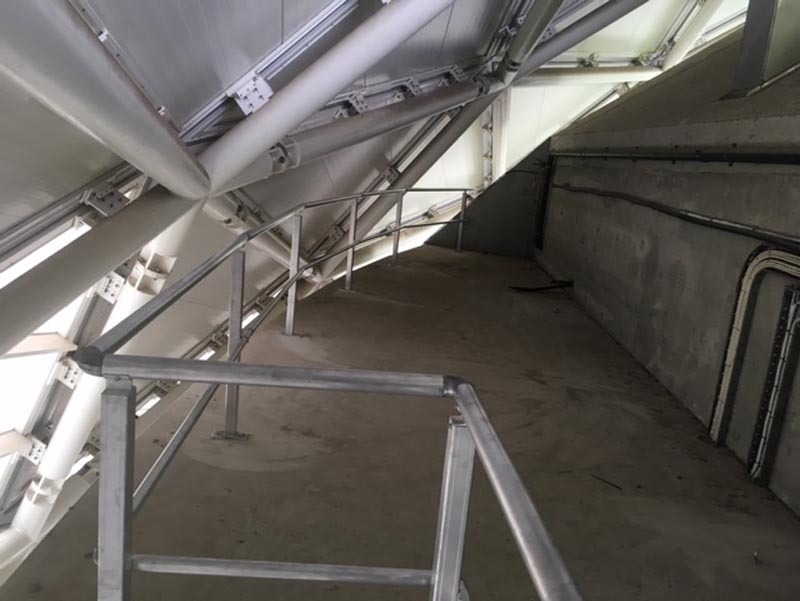 Securely constructed from galvanised metals our roof handrail systems are designed to withstand extreme wet and dry weather conditions without deteriorating. 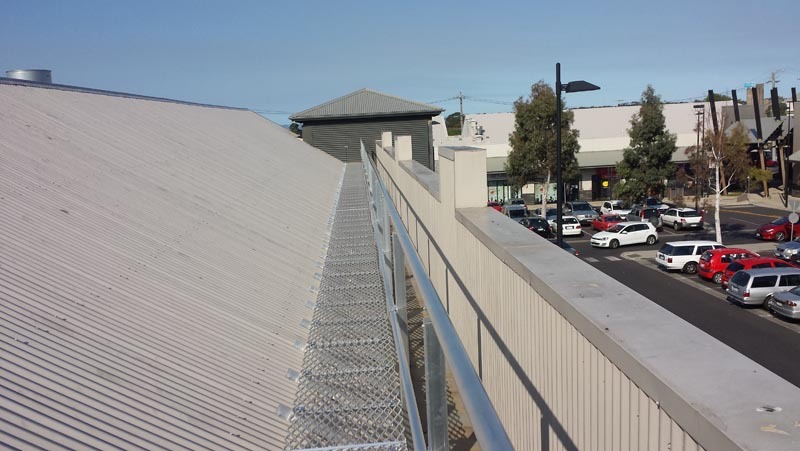 You can trust Safety Plus Australia’s roof safety handrails for long-lasting safety options – and if you have any questions about the materials used in our roof safety handrails, just email us at info@safetyplusaustralia.com.au. Kickboard should be used on any walkway or platform where access can be gained underneath. This will assist in restricting any tools or loose debris being accidentally kicked off to pedestrians below. Whether you’re looking for roof handrail systems, roof access hatch, roof platforms, roof anchor points, roof walkway systems, roof access ladders, roof access systems, static line systems, flatpack products or more, turn to the Safety Plus catalogue. To discover more about our extensive range of certified safety equipment (including our roof safety handrails) feel free to call one of our professionals today on (03) 9879 5230.